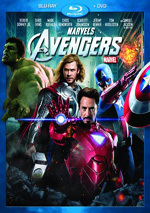 How successful was 2012’s Avengers? So successful that its sequel became arguably the most hotly-anticipated film of 2015 – and given that the year also included the first new Star Wars flick in 10 years, that’s a major accomplishment. Monetarily, 2015’s Avengers: Age of Ultron did well but failed to live up to those expectations. As I write this in October, I don’t know how Star Wars: The Force Awakens will do, but I do know that due to the insane success of Jurassic World, Ultron can’t finish any higher than second place for 2015 – and I’m betting Awakens tops Age’s $458 million US. That’s a subject for another review, of course. In Age, Avengers members Tony “Iron Man” Stark (Robert Downey Jr.) and Bruce “The Hulk” Banner (Mark Ruffalo) complete a security program dubbed “Ultron”. This comes to life as an artificial intelligence, but without the warm/fuzzies they desired. Now in robotic form, Ultron (voiced by James Spader) takes his mission of protection to an extreme. To save the Earth, Ultron believes he needs to eliminate mankind. 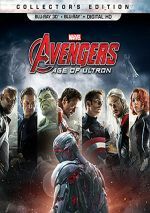 The Avengers disagree and battle to stop the artificial lifeform. That synopsis simplifies the movie’s story to a large degree, as Age packs in a slew of subplots and other developments – maybe too many, to be honest. Age can feel like an awfully “busy” film, so despite the simplicity of its basic plot, it tends to meander too much and it fails to deliver the appropriate focus. This may be inevitable given the size of the cast. The first Avengers already boasted a large roster of ostensible “lead characters”, and Age expands that group even more, as it adds a few more heroes to the mix. As the saying goes, less is more, and I think those behind the Avengers films would be better off if they heeded that adage. With so many characters on display, we barely touch base with any of them, so the film tends to lack substance. If Age pared down the collection of heroes to a more manageable five or six, this would still leave them fighting for screen time, but with a whopping eleven involved, they all start to feel like bit characters – and that doesn’t even consider all the other supporting roles involved. I understand the filmmakers’ apparent desire to go this path, as they probably fear that if they “go smaller”, Age won’t feel “spectacular” enough. I disagree, but I understand that how that perception could exist. Whatever the rationale may have been, though, Age feels bloated and overstuffed. Many loved the general feeling of lightness and comedy in the first Avengers, especially those who dislike the supposed bleakness of the Dark Knight series. That’s fine, but Age takes this too far, as it seems to undercut every potential dramatic moment with a joke. I admit some of the gags amuse, but we get way too many of them. The occasional witty aside works, but Age suffers from diminishing returns because these bits never stop. Not that this makes Age a bad film, though, as it still manages a moderate amount of action and excitement. I’ve always been an Avengers fan, so it remains a kick to see this conglomeration of heroes all in one place. They give the battle sequences life and vigor. I continue to like the cast, and Spader adds spark to the proceedings. He adds menace to Ultron that might not otherwise exist. Ultron never becomes the most dynamic villain, but Spader does his best to bring out the threat involved. On the surface, Age should work, but it doesn’t quite come together. It offers the requisite pieces but feels a bit cobbled together and lackluster. Age musters some entertainment – it just doesn’t become better than average. Footnote: stick around through the end credits for a bonus segment. This appears “mid-credits”; unlike the first film, we don’t get anything post-credits. 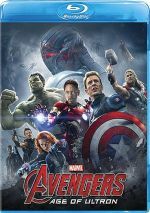 Avengers: Age of Ultron appears in an aspect ratio of approximately 2.40:1 on this Blu-Ray Disc. No obvious issues impacted the presentation. In terms of sharpness, the image seemed solid. It displayed tight, accurate images from start to finish. I witnessed no signs of jaggies or moiré effects, and edge haloes remained absent. No source flaws marred the image either. The film’s palette favored Hollywood standard teal and orange with some amber along for the ride as well. Those choices left me cold but the Blu-ray replicated them appropriately. Blacks seemed deep and dense, and shadows offered nice clarity. This became a consistently fine image. As for the DTS-HD MA 7.1 soundtrack of Age, it satisfied, though not quite as much as the picture. The soundscape opened up the material in a fairly active manner, but I thought it wasn’t quite as bold and dynamic as I expected. Still, the soundfield added to the experience. As anticipated, the many action sequences offered the most engaging moments. These used the various channels to create a good sense of place and action, with battle elements that zipped around the room. They just weren’t as dazzling as expected. The track used the moments well but I felt the mix seemed a little restrained at times. That wasn’t a big complaint, though, so the track mostly impressed. Audio quality was positive. Music showed good boldness and clarity, while speech appeared distinctive and concise. Effects came across as accurate and dynamic, with nice low-end response. I would’ve liked something a bit more “over the top”, but the soundtrack still added to the experience. When we shift to extras, we launch with an audio commentary from writer/director Joss Whedon. He delivers a running, screen-specific look at story, character and thematic areas, cast and performances, stunts and action, various effects, sets and locations, music, editing, and connected domains. I really enjoyed Whedon’s look at the first film, so I looked forward to his discussion of Age. Did it live up to his chat for the prior movie? No, but it still worked pretty well. The main flaw here stems from Whedon’s tendency to lavish praise on all involved, as that trend gets tedious. However, he recognizes this and seems to correct course along the way, so I think Whedon keeps things more fact-based as he goes. He brings us a good array of notes and turns this into a mostly informative and engaging commentary. 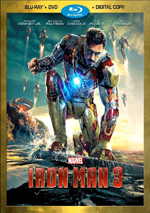 Three featurettes follow. From the Inside Out runs 20 minutes, 54 seconds and offers info from Whedon, producers Kevin Feige and Jeremy Latcham, production designer Charles Wood, executive producer Victoria Alonso, visual effects supervisor Christopher Townsend, stunt double Bobby Holland Hanton, and actors Scarlett Johansson, Aaron Taylor-Johnson, Elizabeth Olsen, Mark Ruffalo, Chris Hemsworth, Jeremy Renner, Cobie Smulders, Robert Downey Jr., Chris Evans, James Spader, Andy Serkis, Samuel L. Jackson, Claudia Kim, Paul Bettany and Linda Cardellini. We learn about sets and locations, cast, characters and performances, effects, and moving ahead with the franchise. “Out” offers a pretty fluffy look at the film, but it comes with some good moments. The featurette gives us a fair amount of footage from the set, and it throws out a reasonably amount of useful data. That leaves it as a decent overview. The Infinite Six lasts seven minutes, 28 seconds and features Latcham, Whedon, Feige, Hemsworth, Guardians of the Galaxy director James Gunn, Guardians co-producer Jonathan Schwartz and Guardians actor Chris Pratt. The show discusses the Infinity Stones and their connection across various films. It’s a good way to give fans a refresher summary. For the final featurette, we get the three-minute, one-second Global Adventure. With notes from Whedon, Feige, Johansson, Ruffalo, Latcham, Evans, and Hemsworth. “Global” looks at the variety of countries in which Age shot. It’s too brief to offer much of merit. Four Deleted and Extended Scenes fill a total of 12 minutes, four seconds. We find “The Man in the Church” (1:11), “Watch Your Six” (2:48), “Bruce and Natasha Talk” (4:20) and “The Norn Cave” (3:44). In these, we get more of Wanda and Pietro as well as additional Avengers discussion of Ultron. “Talk” digs more into the Bruce/Natasha relationship, while “Cave” gets farther into Thor’s side of the action. “Six” and “Talk” are fairly forgettable, but “Church” and “Norn” add some decent material. 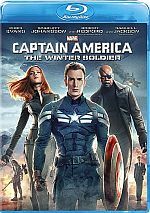 We can view the deleted/extended scenes with or without commentary from Whedon. He tells us about the sequences as well as why he cut them. Whedon offers informative notes. Lastly, we get a Gag Reel. This one takes up three minutes, 37 seconds with the usual goofs and laughs. A few funny bits emerge. The disc opens with ads for Ant-Man, Agents of SHIELD and Agent Carter. Sneak Peeks adds promos for Playmation: Marvel’s Avengers and two short promos for Age of Ultron. No formal trailer for Age appears here. Though not a bad superhero flick, Avengers: Age of Ultron lacks the heart and spirit to make it a real winner. While it comes with decent action and excitement, it doesn’t quite coalesce into anything better than average. The Blu-ray brings us very good picture and audio along with a smattering of useful supplements. Age ends up as middle of the road comic book adventure.